M. Teixeira Soapstone, founded by Roger Teixeira, is an importer and fabricator of soapstone countertops, custom soapstone sinks, DIY countertops, soapstone tiles, fireplaces and much more. We have multiple showroom and slab yard locations nationwide where clients can view and select their own slabs and see various types of installation samples. 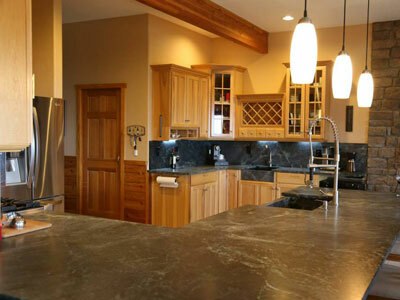 We offer the largest collections of soapstone available in the United States. Our select natural soapstone is sourced both domestically from Virginia and internationally from quarries in Brazil and India. When you make your investment in soapstone, it’s essential to work with experienced craftsmen. M. Teixeira Soapstone has been working exclusively with soapstone since 1998. Because M. Teixeira Soapstone is a direct importer of soapstone slabs and products, when you purchase from us, the “middle man” is eliminated, allowing access to a wide selection of choices at the most attractive costs. How do we ensure the quality of our products? After we quarry our soapstone it is then cut and polished. The slabs are then exported and brought to our locations where they are fabricated for customers and installed. 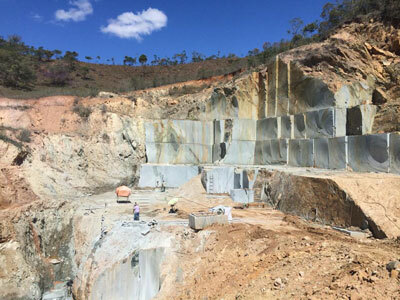 We take great pride in transforming the “raw” stone from the quarry into beautiful finished stone for your home. We invite you to visit one of our showrooms and slab yards. Our caring team members provide personalized service to assist you in selecting the stone that is perfect for your application. 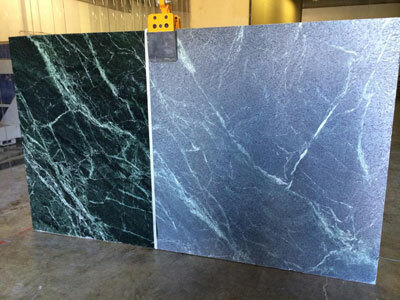 We stock the most variety and quantity of soapstone slabs than any other company in North America. We have everything you need from custom fabrication, quality soapstone slabs, remnants, sinks and tile along with soapstone for DIY projects. If you are not conveniently located near one of our locations, we offer soapstone samples. We’ll send you generous samples of all of our latest soapstones so you can experience our stones in your own home. M. Teixeira Soapstone. Everything Soapstone. The soapstone product is absolutely beautiful; it was shipped very carefully and promptly and the customer service was terrific. Prices were also excellent. Of all the subcontractors we have worked with while renovating our house you guys were by far the best and the most professional. I would recommend you to anyone interested in soapstone and we would definitely use you again. I am very pleased with your exceptional service and soapstone products. I would not hesitate to recommend M. Teixeira Soapstone and your soapstone products to everyone I know. The stones are beautiful. AAA+++. Very happy with everything. You’re the best. Installers went out of their way to make us happy! It is absolutely beautiful, exceeded my expectations. What a pleasant experience from beginning to end. Very professional and thoughtful with workmanship. Beautiful product. Thank you! Thank you so much for all your support. This is the second kitchen that we have remodeled with your soapstone. This experience was even better than our last in 2006. The Monsoon Wave slab is amazing. If we ever wanted to do this again, we will call you back! The entire process from choosing the stone (Thank you Maria for your patience with my endless questions) to precise templating, and finally installation was seamless. It was a pleasure doing business with professionals in their field, thank you! Every one we dealt with was great. Dealing with you was an excellent experience. We are thoroughly happy with all aspects of our purchase. I am so happy I met Teixeira Soapstone employees. I will recommend Marco and his crew to everyone. The quality of workmanship is unbelievable. So professional and beautiful. Thank you so much for making me so happy .Thank you Roger!!! The installation crew was wonderful - very professional and exacting - craftsmen! We are very happy with your company's employees and service. We are extremely pleased with our selection. The fabrication/installation process exceeded our expectations, and we are very picky. They were very professional, polite, and asked us very good questions to ensure we were happy with our end product. We will most definitely recommend you to our friends! Absolutely wonderful installation team and beautiful stone. As Lori's designer and project manager I have been completely impressed with the service, the beauty of the stone and the quality of the fabrication and installation. I look forward to working with M. Teixeira and staff in the future. The entire experience from start to finish was perfect! When I walked in your store and saw my stone, I fell in love. When I walked in my finished kitchen, I really fell in love! THANK YOU!